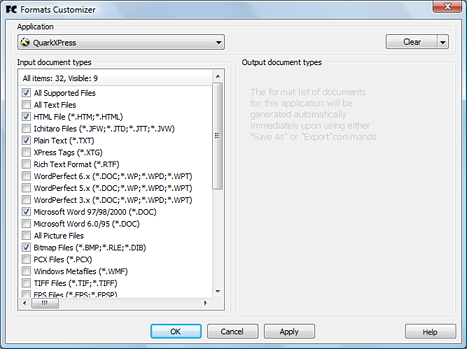 Formats Customizer - , . . : Save Open , Import Export . Formats Customizer, . 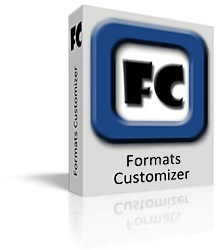 Formats Customizer . 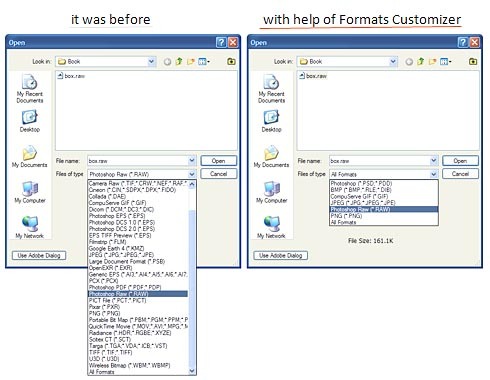 Formats Customizer , . , , , . , , . , , Open, Save As, Import Export. 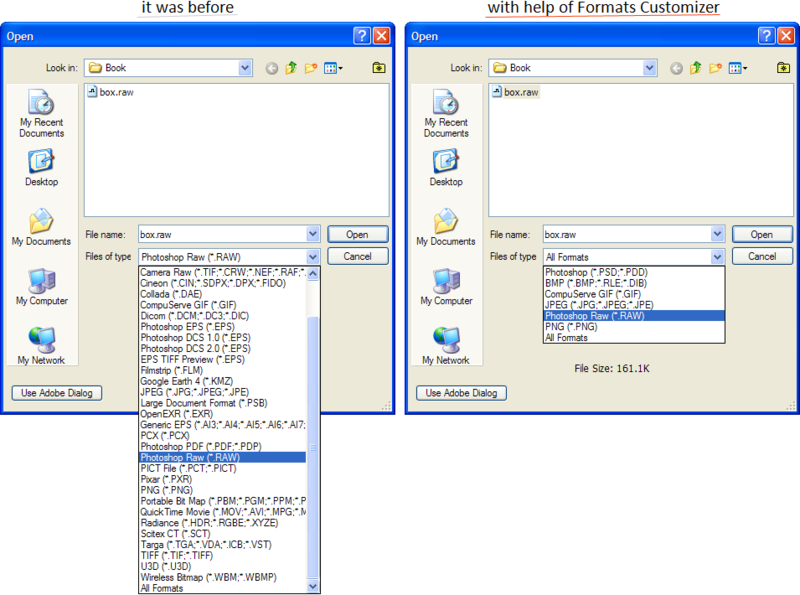 , , Formats Customizer. 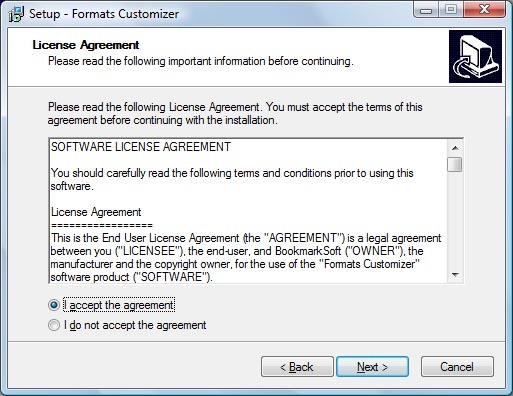 "", " ", "" "". 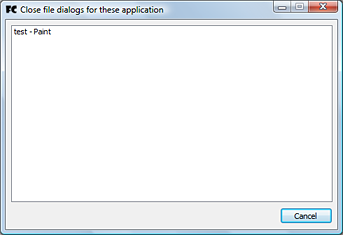 , , Enable filtering. 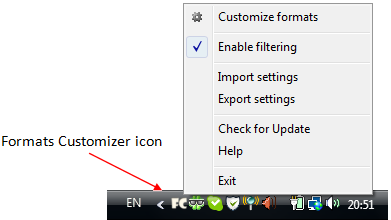 , , Enable filtering. 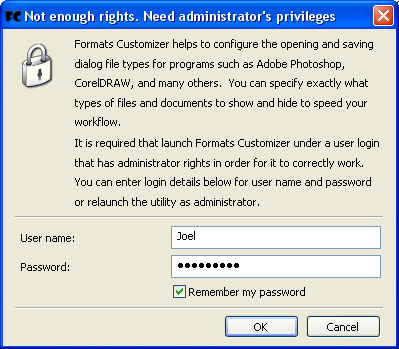 , , Window Vista UAC (User Account Control - ). 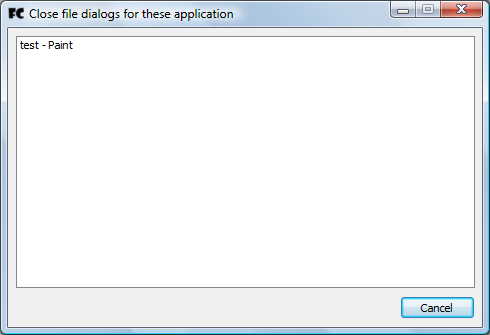 Windows XP, . 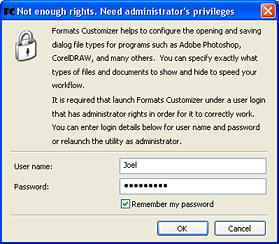 , , Formats Customizer. , , . Exit . , , , .